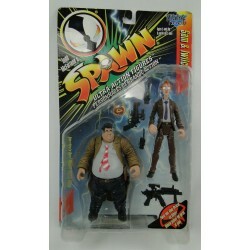 McFarlane Toys There are 11 products. 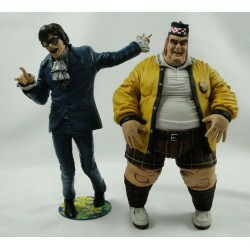 Austin Powers and FAT Basterd 9” Deluxe action figures, both figures are being sold asis. They have not been checked if the sound works but they display great. They need each 3 small button-cell batteries. Austin misses his battery cap and his stand is broken off. Fat basterd is looking awesome! Both boxes are in used condition. 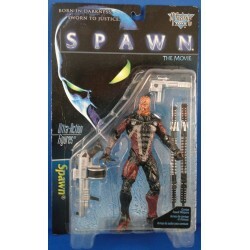 Sam and Twitch MOC from Spawn series by McFarlane Toys 1996. 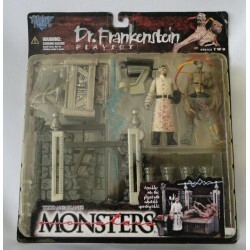 Dr. Frankenstein Playset, series 2, Todd McFarlane’s Monsters MOC. McFarlane Toys 1998. 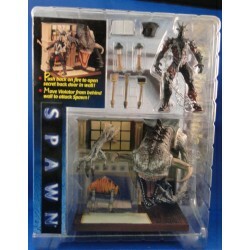 Spawn The Final Battle Playset - Spawn The Movie 3/4 inch MOC. McFarlane Toys 1997. 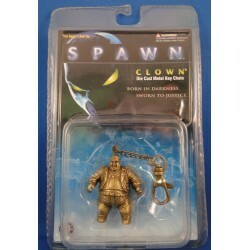 Metal Clown Keychain from Spawn the movie. Chain is still in the package. 5,5cm Die Cast Metal. 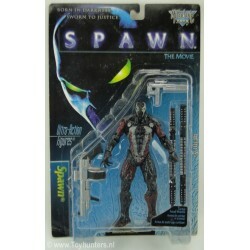 Spawn (Al Simmons) - Spawn The Movie. Ultra-Action Figures 15cm w/ Combat Assault Weapons MOC. McFarlane Toys 1996. 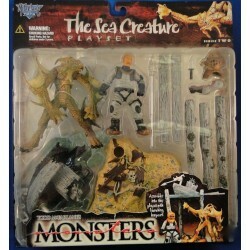 The Sea Creature Playset Series 2, Todd McFarlane’s Monsters MOC. McFarlane Toys 1998. 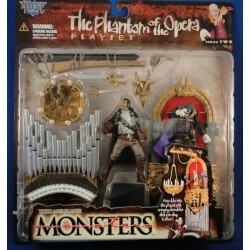 The Phantom of the Opera Playset Series 2, Todd McFarlane’s Monsters MOC. McFarlane Toys 1998.